Over the past year we’ve seen a number of dental apps hitting the App Store. Smiles for Life is a great dental app for primary care physicians focused on oral health hygiene. Knocked out is a free dental emergencies app made by a dental society. The University of Augusta recently added another dental app to the App Store called Pediatric Dental Rx. 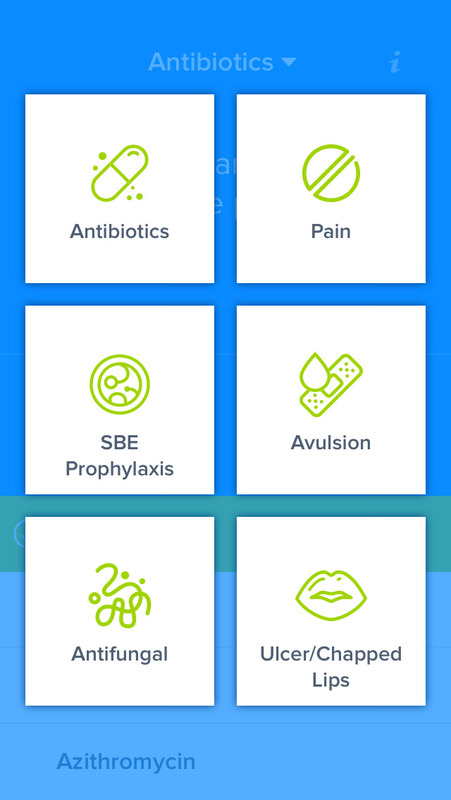 The dental app is aimed at helping dentists with medication dosing for commonly prescribed drugs for the pediatric patient population. Prescribing medications to the pediatric population is more challenging than adults due to the nature of weight based dosing. Pediatric Dental Rx was created to help dentists with this. When you download the dental app, the first thing you notice is its simplicity and ease of use. The colors don’t clash, and the font is easy on the eyes. The homepage consists of categories that, when clicked on, will direct you to a page where you choose the medication and the patient’s weight. 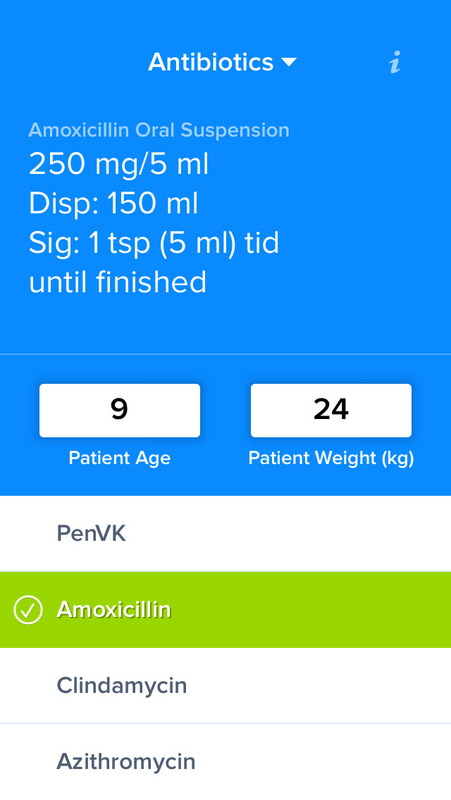 The dental app will then calculate the right amount of medication according to the patient’s weight. SBE Prophylaxis. The prescriptions in this square are Amoxicillin and Clindamycin and the patient’s weight is needed. Avulsion. PenVK and Doxycycline are in this square and the patient’s age and patient’s weight are required. Antifungal. The Antifungal category caters to infants and children 5+ years and depending on which one you choose, the Oral Candidiasis and Angular Cheiltis are different. Ulcers/Chapped Lips. Those with ulcers choose between Magic Mouthwash and Kenalog in Orabase, while those with chapped lips have Triamcinolone 1% ointment treatment. This isn’t the first dental app the University of Augusta created with the purpose of helping out dental students and medical students. The Dentistry Consultant App provides a quick and easy way for dental students to review procedures, while the smarTooth App helps automate tooth proportion metrics and space analysis calculations. Editors note: iMedicalApps did not verify or validate the calculations or dosing recommendations in this dental app, and anyone using this app to prescribe medications to patients should verify the results independently. Brian has a PhD in integrative biology and disease for his research in exercise physiology and rehabilitation. He is also an eighth-year student at the University of Southern California pursuing his Medical Degree. He is the founder of Health Stories for Kids.